The Red Shoe Movement Hall of Fame honors men and women who know that shared power not only means a more equitable workplace and society. It also means better return on investment, more employee engagement, and less risk for investors. Every year, we select a group of executives who are role models for all of us and particularly, to their colleagues around the world. They are leaders of leaders. The kind we all aspire to be. We select people from all regions of the world who are contributing to more inclusive workplaces. These honorees are building innovative organizations that are more responsive to the challenges of the 21st Century. Places that value 100% of their talent. Companies with purpose and a social conscience. 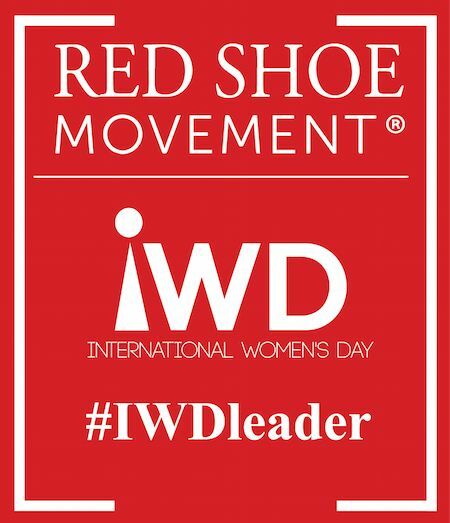 Leaders who deserve to be recognized in our Red Shoe Movement Hall of Fame. Many of the leaders we celebrate in the Red Shoe Movement Hall of Fame, are people with whom we had the chance to work closely. Executives who are champions of the female talent involved in our leadership development programs within their organizations. People who speak up for gender equality and inclusion at all levels even when it’s not always comfortable to do so. Leaders who blaze a trail and sponsor women every chance they have. As a result of our analysis of their work, we’ve observed time and again the consistent alignment of their belief system with their behavior. We’ve seen them implement policies and procedures, address unconscious biases, and confront push back from those resisting change, when necessary. To recognize those exceptional executives we created the Red Shoe Movement Hall of Fame: “Honoring Leaders Who Walk the Walk.” An award that celebrates leaders who inspire us with their vision and their concrete actions. We spent years working alongside global companies to help them develop their female talent. Driven by our purpose to accelerate the representation of women at the highest levels of decision-making, we put our brains, wisdom and experience to help our clients improve their retention and promotion. As you can imagine, we’ve come across executives who are committed to gender equality and inclusion at all levels of their organizations. People whose role is to drive business results and who have realized the most important resource they should focus on is their talent. These are the people we honor in our annual Red Shoe Movement Hall of Fame. We are always on the lookout for this type of influential leader. If you know someone you believe deserves to be recognized on the Red Shoe Movement Hall of Fame, please contact us.